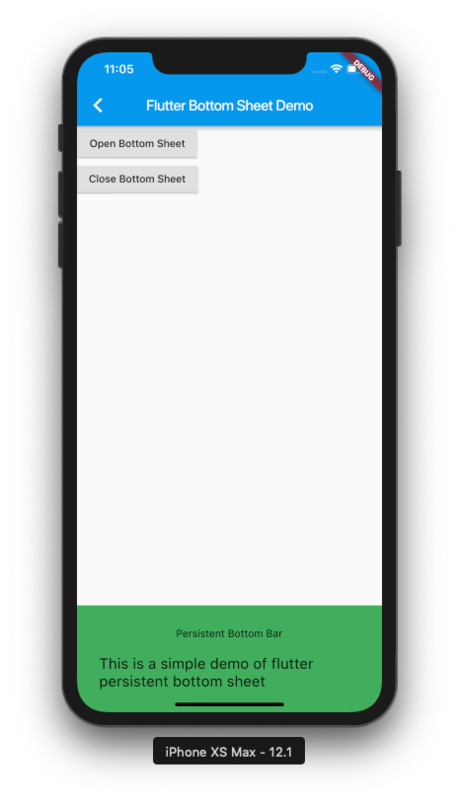 This demo shows how you can implement bottom sheets in flutter which works for both Android and iOS. The StatefulWidget has a built-in function called “showModalBottomSheet’ which we will implement to show a bottom sheet. 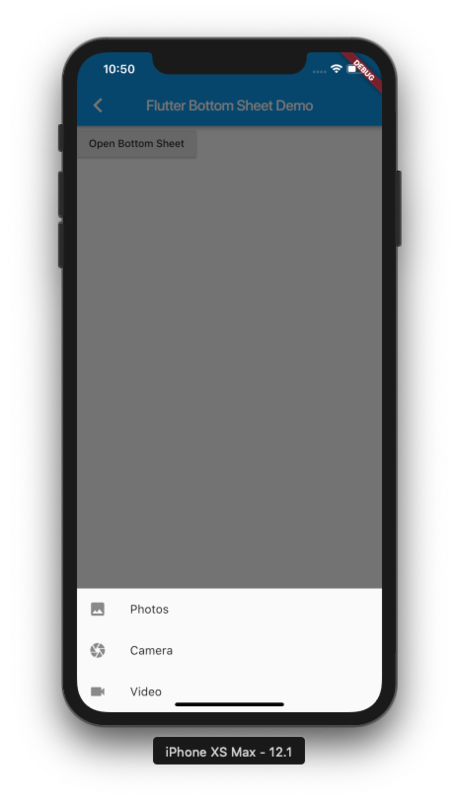 The below function implements a bottom sheet which shows like a modal, that means it will be dismissed when you tap anywhere on the screen outside the sheet. This will take the BuildContext parameter which you can pass from the build function. We have to create a GlobalState<ScaffoldState> and a PersistentBottomSheetController instance to create a persistent Bottom sheet across the screens. Let’s write the function that shows a Persistent Bottom Sheet. Don’t forget to add the key to the Scaffold that is calling this function. That’s it. It’s that simple in Flutter.